This Music season due to market conditions at work I couldn’t spare time to attend any of the Carnatic concerts, even though I had tickets for Nungambakkam Cultural Academy who have programs in the same road (Habibullah Road) as my office. On the new year’s day, I took a break and went with my wife and kid to Crazy Mohan’s new drama – Chocolate Krishna. The drama was a usual Crazy Mohan entertainment, you can certainly have a good laugh before you come out. 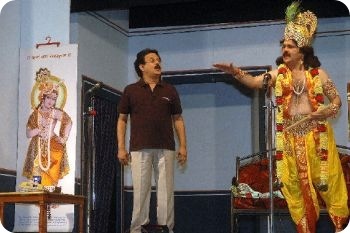 Since this one had few magic tricks performed on stage by Crazy Mohan himself my son enjoyed it thoroughly. This was the first time I risked taking him to a live performance, but since he could understand to some extent the story (however limited it was) he cooperated and remained silent throughout the play. 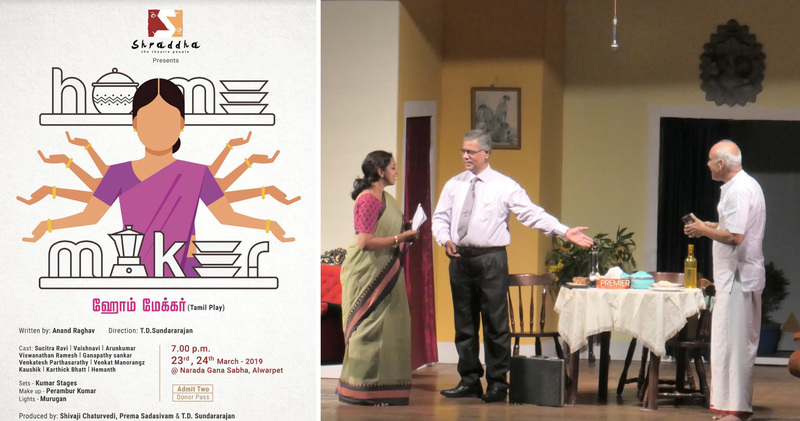 If you like comedy plays and get a chance to go for this one, go for it.